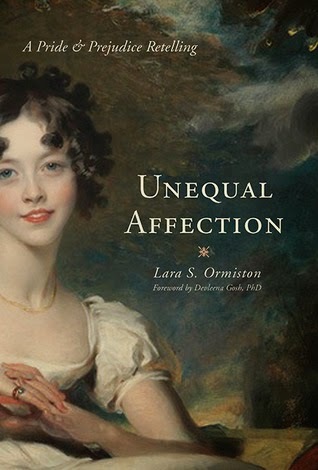 Unequal Affection was recommended to me as one of the better Pride and Prejudice variations out there. It's been on my wishlist and today I found the e-book on sale! Get it at Amazon for only $1.99! When Elizabeth Bennet first knew Mr. Darcy, she despised him and was sure he felt the same. Angered by his pride and reserve, influenced by the lies of the charming Mr. Wickham, she never troubled herself to believe he was anything other than the worst of men--until, one day, he unexpectedly proposed.Mr. Darcy's passionate avowal of love causes Elizabeth to reevaluate everything she thought she knew about him. What she knows is that he is rich, handsome, clever, and very much in love with her. She, on the other hand, is poor, and can expect a future of increasing poverty if she does not marry. The incentives for her to accept him are strong, but she is honest enough to tell him that she does not return his affections. He says he can accept that--but will either of them ever be truly happy in a relationship of unequal affection? Diverging from Jane Austen's classic novel Pride and Prejudice at the proposal in the Hunsford parsonage, this story explores the kind of man Darcy is, even before his "proper humbling," and how such a man, so full of pride, so much in love, might have behaved had Elizabeth chosen to accept his original proposal.